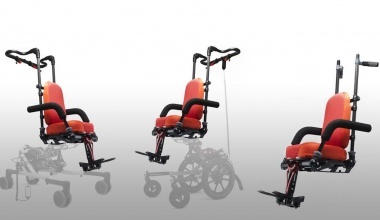 The Chunc One wheelchair makes a vital contribution to a 24 hour postural management. The adaptability and versatility of our support options enable therapists to optimally position and support the wheelchair user. 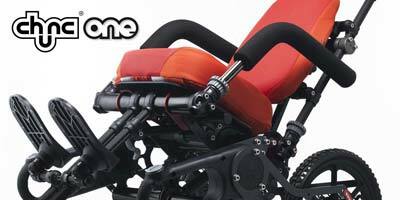 The Chunc One Adapt Wheelchair offers a solution people with specialised seating requirements. The mulitiple options for seating interfaces allows a wide range of specialised seating systems to be attached. are manufactured in England, producing a range of high quality childrens paediatric wheelchairs designed specifically for children, young people and adults working closely with healthcare professionals, parents and carers to provide seating solutions for children and adults wheelchairs. Our design team are continuously developing the range of products and support options which provide mobility postural management and adjustable wheelchair seating solutions for children, young people and adults which helps makes a vital contribution to a 24 hour postural management programme. 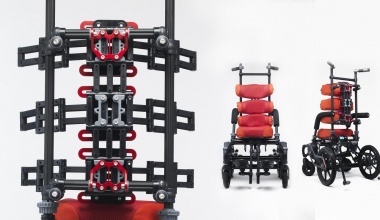 Through knowledge transffered from our experience with aerospace materials and technology; The team have led the creation of a unique, dynamic and exciting wheelchair design. The grey highlighted attendant controls enable the carer to locate and reposition any controls or supports required in everyday use such as transfers, toileting, feeding and grooming. Our wheelchair postural supports will return to their original settings, ensuring the optimal seating position is maintained. 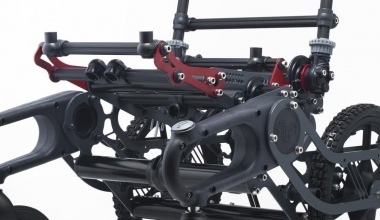 Our foot operated wheel locks, anti-tip and tilt in space controls are all accessible from a standing position. This eliminates the need for repetitive bending, helping to protect the carer's back. The wheelchairs ease of use ensures that carers can confidently interact with the child whilst in the paediatric chair and optimal functionality is achieved. 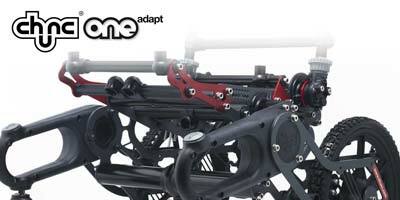 Historically, the style of adaptive equipment has been sacrificed at the expense of function. NO MORE! 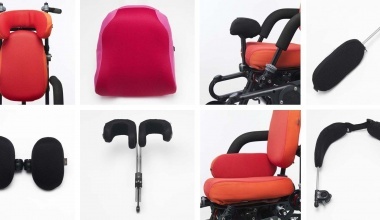 The unique look of the wheelchair, along with a wide variety of colour choices, ensures that our users can be proud of the Chunc wheelchair products they use. 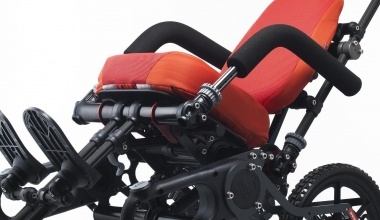 The Chunc One and Spica chair are manual attendant controlled paediatric wheelchairs. 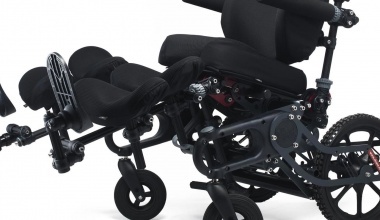 The Chunc Adapt is a manual attendant controlled wheelchair base for use with a surrogate seating system. 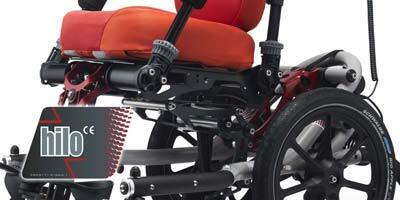 A range of accessories is available which are intended to provide additional mobility, postural management and adjustable seating solutions. The Chunc Spica caters for occupants in ‘hip spica casts’ and can also be used for other requirements such as radial leg extension braces. 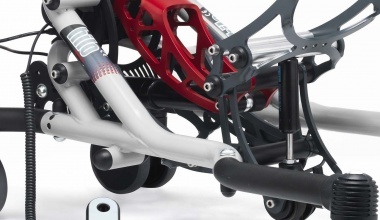 All Chunc wheelchairs are intended for a single occupant including children and young adults with moderate to specialist needs such as cerebral palsy and whose mass does not exceed 110kg. The maximum load capacity (including an occupant up to 110kg) and any auxiliary equipment (such as communication and respiratory aids) and, if applicable, surrogate seating for the Adapt, should not exceed 110kg. The wheelchairs are designed for indoor and outdoor use. 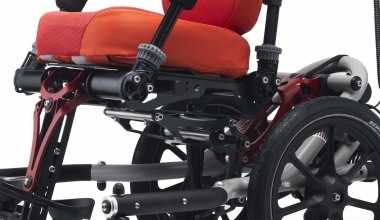 All Chunc wheelchairs are suitable for use as a forward facing seat in a motor vehicle when used in conjunction with 4 point tie down restraints (WTORS) or QLK type. A fantastic training session with some of the Premiere Healthcare team. Its always good to break out of the office and spend time with others who are just as passionate about our products as we are here at Chunc. Thank you to all involved and for making us feel so welcome. We are excited to let you know we have recently developed the 'Chunc Active'. More details will follow very soon about this new chunc product. Please check back for up to date news on whats happening with chunc wheelchairs, from time to time we will be posting new product features and also an up to date timetable of exhibitions we will be attending.